This page organizes all the antiviral medications. The mechanism of these medications is to stop viral entry into the cells. Examples include: Maraviroc (attachment), Enfuvirtide (penetration). 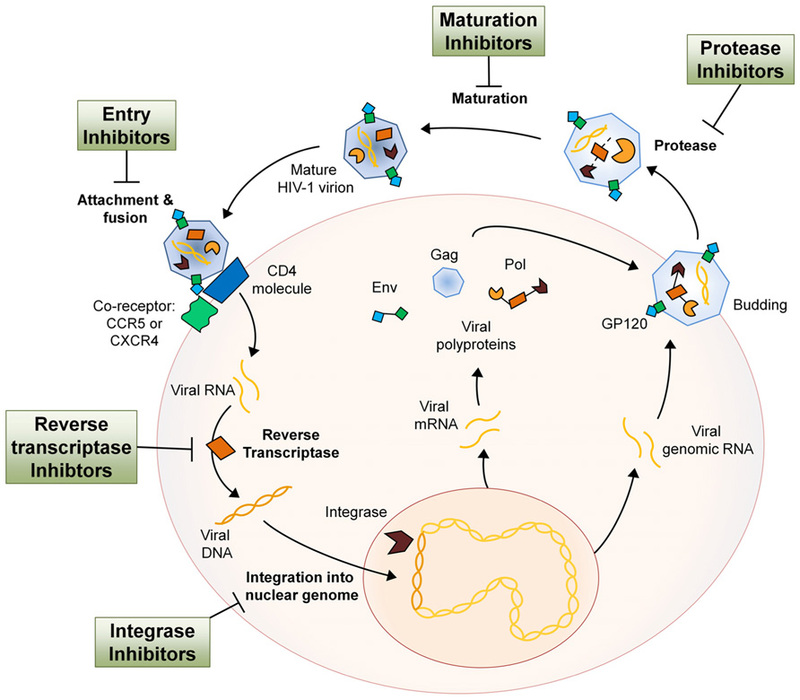 The mechanism of these medications is to inhibit HIV genome integration int the host cell. This is done by irreversibly inhibiting HIV integrase. The mechanism of these medications is to competitively inhibit nucleotide binding to reverse transcriptase and terminate the DNA chain that is being synthesized (because they lack a 3’OH group, making the addition of further nucleotides impossible). Need to be phosphorylated to be active. The mechanism of these medications is to bind to reverse transcriptase (at a different site then NRTIs). Do not require phosphorylation to be active. The mechanism of these medications is to inhibit the HIV-1 protease which cleaves the polypeptide product of the HIV mRNA. This cleavage is required for the proper maturation of the virus.